This little chick is small enough to fit in the palm of your hand, but has a whole lot of personality. 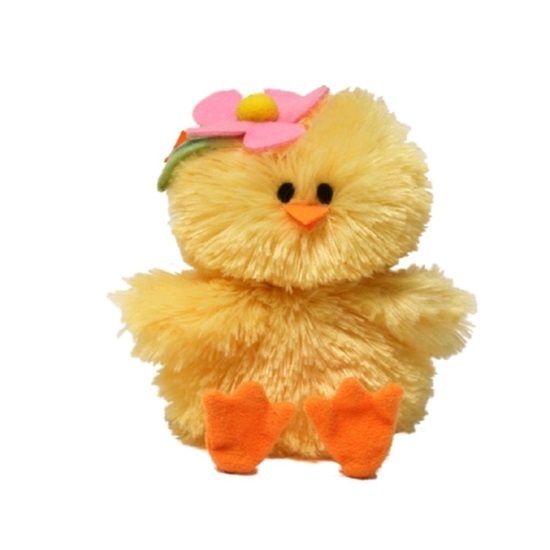 Her body is covered in a soft yellow plush fur, her legs and beak is made from orange felt. A pink felt flower adorns her head. Gently squeeze her tummy and she chirps. Chick A Dees is surface washable and good for ages 1 and up.